The Ink Bleeds & Blots template for After Effects allows you to create custom ink or watercolor effects. These effects can imitate ink spreading on wet paper, drops in water, and even Rorschach (inkblot) tests. Watch the Demo Video for Ink Bleeds and Blots. 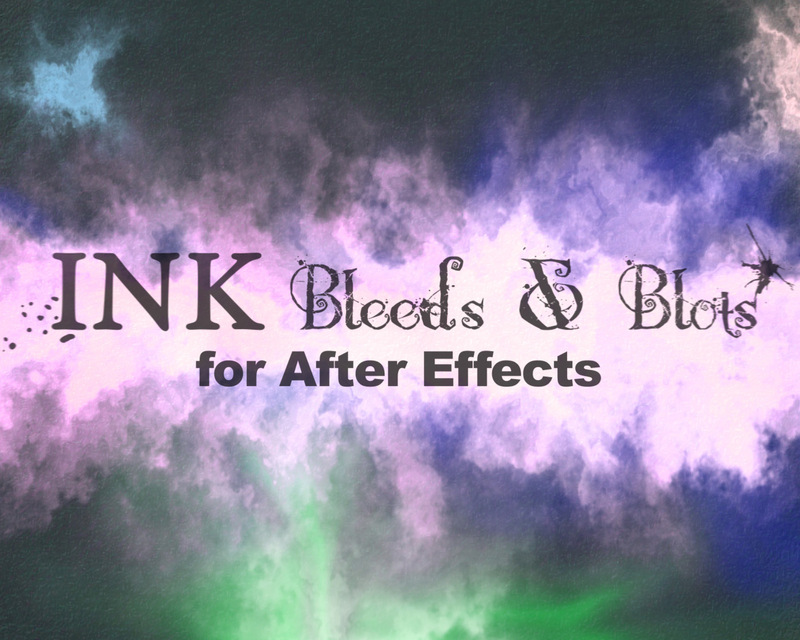 Ink Bleeds & Blots - For After Effects CS5 and up. This template allows you to easily create an unlimited number of unique, custom ink or watercolor effects. These effects can imitate ink spreading on wet paper, ink drops in water, and even animated Rorschach (inkblot) tests. The effects can be overlaid over your footage, used as wipe transitions, or as the popular “ink reveal” effect of your footage. (There is a comp included with an ink reveal already set up). The effect’s properties are completely customizable using convenient slider controls on a separate “Control Layer”. You can also easily change the shape of the bleeds and blotches simply by editing the shape’s path. Also inlcuded are 27 high-resolution paper textures which you can composite with your ink effect. No plugins required. Music and footage placeholders in preview video are not included.